Kevin Keiley is a driving instructor from Worthing, England who’s had the @sussexroyal handle for nearly three years. 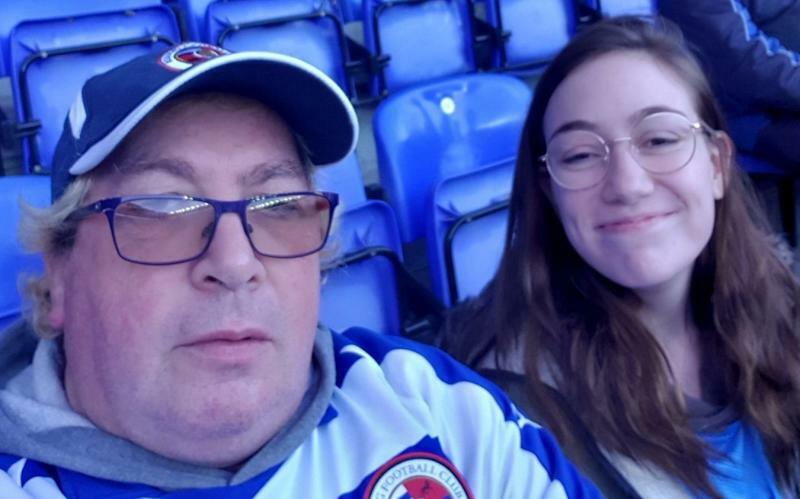 His account was dedicated to his favorite soccer team Reading F.C., which is nicknamed the Royals, and his county of Sussex. On Tuesday, however, he was blindsided when his account name had been changed. The 55-year-old told the BBC that his son had been the one that informed him about the change after hearing about the Harry and Meghan’s Instagram debut, and saw the familiar account name. Keiley’s former handle was already making headlines since it was now in the hands of one of the world’s most famous couples. Within hours, it broke a world record for reaching one million followers in the shortest amount of time. Instagram didn’t immediately respond to Yahoo Lifestyle’s request for comment. However, BBC was informed that one of its policies allows changes to be made to any account that’s been inactive for a certain amount of time. Keiley admitted to BBC that he hadn’t posted often or accumulated many followers. Still, he’s annoyed that he was never contacted about the change. “I’m a bit loath to use Instagram until I have a chat with them personally,” he said. People on Twitter are agreeing with Keiley, expressing that they would be upset as well, despite Instagram’s policies. TBF, if my name was summarily removed without any warning or reason, I’d be a bit annoyed. Surely it’s common decency to try and contact them first? So @instagram changed his username without even contacting him?? Even if it was in line with some policy etc, surely the decent thing would have been to contact the owner! In the meantime, Keiley is trying to hold onto his Twitter account under the same @sussexroyal handle by tweeting to ensure that his inactivity can’t be used against him. According to the BBC, the instructor only had four Twitter followers before the royals got a hold of the Instagram handle. As of Thursday morning, he’s acquired nearly 500 from people likely in search of the royals on Twitter. The spike in followers has also meant an increase in notifications and even some rude messages from trolls. Still, Keiley plans to deal with it and hold onto his Twitter account. But if the royals ever want it, he just asks one thing.